Arthritis affects millions of people throughout the world and while its treatment is usually medical or surgical, there exists an increasingly large body of evidence concerning the positive effects of nutrition on the condition. 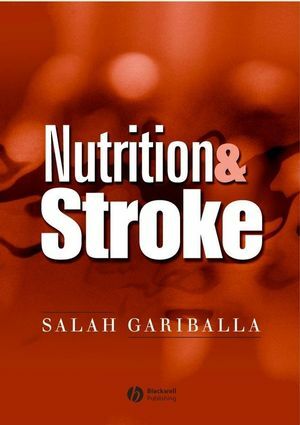 Nutritionists and dietitians, including those working in the health services, rheumatologists, orthopaedic surgeons, general practitioners, osteopaths and commercial organisations involved in the formulation of dietary supplements will find this book an important and practical reference source. 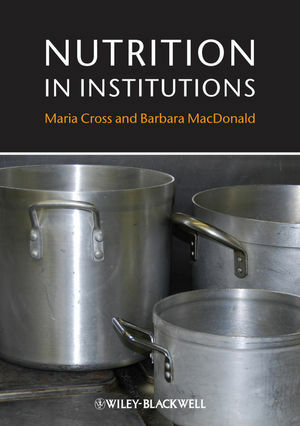 Libraries in medical schools and universities and research establishments where nutrition, dietetics and food science are studied and taught will find it a valuable addition to their shelves. 1.1 The range of rheumatic diseases. 1.2 Rheumatoid arthritis (RA): description. 1. 4 Incidence and prevalence. 1.7 Economic cost of arthritis. 1.8 The aim of this book. CHAPTER 2: CLASSIFICATION, PATHOLOGY AND MEASURES OF DISEASE ASSESSMENT. 2.3.1 General features of OA. 2.3.3.2 Nitric oxide synthesis damages chondrocytes. 2.3.3.3 Sulphation pattern of GAGs in articular cartilage. 2.4.1 General features of RA. 2.4.2 Immunopathogenesis and production of inflammatory mediators. 2.4.4 Glycosylation patterns of IgG and complement activation. 2.4.5 Dietary lectins, gut translocation and the shared epitope. 2.4.7 Reactive oxygen and nitrogen species involved in damage to the rheumatoid joint. 2.4.7.2 Hypoxia-reperfusion injury and joint pH. 2.4.7.3 Involvement of nitric oxide and peroxynitrite. 2.4.7.4 Consequences of the production of reactive oxygen and nitrogen species in the RA joint. 2.4.8 Lipid abnormalities and cardiovascular risk in RA. 2.4.8.4 Oxidised-LDL in the joint and the formation of fatty streaks. 2.4.8.7 Elevated homocysteine and vitamin B6 status. 2.4.8.8 Elevated homocysteine and impaired sulphur metabolism. 2.5 Assessment of severity of RA and OA. 2.5.1 Outcome measures for rheumatoid arthritis. 2.5.1.4 Swollen and tender joint counts. 2.5.1.6 RA Quality of Life Index. 2.5.2 Some outcome measures for OA. CHAPTER 3: AETIOLOGY AND RISK FACTORS FOR RHEUMATOID ARTHRITIS AND OSTEOARTHRITIS. 3.5 Biomechanical factors as risk factors for OA. 3.5.1 Occupation, sport and physical activity. 3.5.2 Joint trauma and surgery. 3.5.3 Load distribution and malalignment. 3.8.2 Fish and n-3 PUFA. 3.9.2 Alcohol 3.10 Hormones, OA and RA 3.11 Medical risk factors for RA. 3.11.1 Infection and microorganisms 3.11.2 Blood transfusions. CHAPTER 4: CURRENT MANAGEMENT OF OSTEOARTHRITIS AND RHEUMATOID ARTHRITIS. 4. 1 Overview of current treatment. 4.2.2 Nonsteroidal Anti-Inflammatory Drugs (NSAIDs). 4.2.3Disease Modifying Anti-Rheumatic Drugs (DMARDS). 4.4 Physiotherapy and occupational therapy management. CHAPTER 5: NUTRITIONAL STATUS AND ADEQUACY OF THE DIET IN RHEUMATOID ARTHRITIS AND OSTEOARTHRITIS. 5. 2 Body mass index (BMI). 5.2.1 Low BMI and rheumatoid cachexia. 5.3 Malnutrition and malnutrition screening. 5.5 Micronutrient intake and deficiency in RA. 5.7 Importance of individual assessment. CHAPTER 6: POPULAR DIETARY APPROACHES. CHAPTER 7: EXCLUSION, VEGETARIAN, VEGAN AND OTHER DIETARY APPROACHES IN RHEUMATOID ARTHRITIS. 7.3 Vegan and vegetarian diets. 7.6 Summary of dietary findings. 7.7 Possible mechanisms by which exclusion, elemental, vegan and vegetarian diets may exert their effects on RA. 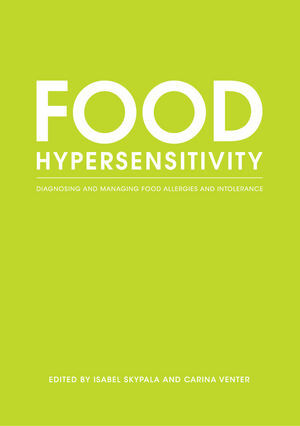 7.7.1 Food allergy or intolerance. 7.7.2 Alteration of gastro-intestinal permeability. 7.7.4 Alteration to gut flora: pre- and pro-biotic dietary components. 7.7.5 Weight reduction and associated immunosuppression. 7.8 Risks of undertaking dietary modifications. CHAPTER 8: ROLE OF MICRONUTRIENTS IN THE AMELIORATION OF RHEUMATOID ARTHRITIS AND OSTEOARTHRITIS. 8. 2 Antioxidants in the body. 8. 3 Vitamins A, C and E and b-carotene and their role in RA and OA. 8.3.1 Description and functions of vitamins A, C and E and b-carotene. 8.3.2 Studies of vitamins A, C and E and b-carotene in RA and OA. 8.3.3 Conclusions and recommendations from these studies. 8.4 Selenium in RA and OA. 8.4.1 Functions of selenium relevant to RA and OA. 8.4.2 Selenium status in OA and RA patients. 8.4.3 Prospective and intervention studies with selenium. 8.4.4 Recommendations for selenium intake. 8.5 Copper, zinc and RA and OA. 8.5.1 Functions of copper and zinc relevant to RA and OA. 8.5.2 Copper and zinc status in OA and RA patients. 8.5.3 Intervention studies with copper and zinc. 8.5.4 Recommendations for intake of copper and zinc in RA and OA. 8. 6 Iron in RA and OA. 8.6.1 Functions of iron relevant to RA and OA. 8.6.2 Iron status in OA and RA patients. 8.6.3 Effect of resolution of anaemia on RA symptoms and quality of life. 8.6.4 Recommendations for iron intake. 8. 7 Vitamin D in OA and RA. 8.7.1 Role of vitamin D in relation to OA and RA. 8.7.2 Studies looking at the relationship between vitamin D and arthritis. 8.7.4 Recommendations for vitamin D intake. 8.11 Recommendations for micronutrient use in RA and OA. 8.11.1 How should these recommendations best be achieved - dietary intake, fortification, or supplementation?. CHAPTER 9: POLYUNSATURATED FATTY ACIDS IN THE TREATMENT OF ARTHRITIS. 9.1 Essential fatty acids and their nomenclature9.2 Role of fatty acids: relevance to arthritis. 9.3 Metabolism of polyunsaturated fatty acids. 9.3.1 Conversion to long-chain PUFAs. 9.3.2 Formation of eicosanoids from PUFA precursors. 9.4 Inflammatory potential of eicosanoids. 9.6 Rationale for the use of specific PUFAs in the treatment of arthritis. 9.7 Beneficial effects of GLA, DGLA and n-3 PUFAs. 9.7.2 Effects on cytokine production. 9.7.3 Effects of fish oils on cytokine production depend on genotype. 9.7.4 Effects on lymphocyte proliferation. 9.7.5 Effects of n-3 PUFA on cartilage integrity. 9.8 Epidemiology of n-3 PUFA and arthritis. 9.9 Interventions with GLA and DGLA in arthritic patients. 9.10 Interventions with fish oil in RA patients. 9.11 Interventions with fish oil in RA patients with reduced n-6 PUFA intake. 9.12 Limitations of human intervention studies with PUFAs. 9.13 Recommendations for PUFA intake in inflammatory arthritis. 9.14 Current intakes of PUFAs. 9.15 How to achieve an anti-inflammatory intake of PUFAs. 9.15.3 Animal sources of n-3 PUFAs: grass-fed meat and game. 9.15.4 Sources of short-chain n-3 PUFA. 9.15.5 Direct long-chain n-3 PUFA sources for vegetarians or non-fish eaters. 9.15.6 Practical guidelines for vegetarians. 9.16 Reducing n-6 PUFAs in the diet. 9.17 Collateral benefits of increasing the intake of long-chain n-3 PUFAs. 9.17.1 Reduced risk of cardiovascular mortality. 9.17.2 Reduced requirement for NSAIDs or other drugs. 9.18.1 Contraindications for cod liver oil supplements. 9.18.2 Side effects of n-3 PUFAs. 9.18.3 Peroxidation issues related to increased n-3 PUFA intake. 9.18.4 Effects on immunity of increased n-3 PUFA. 9.18.5 Contamination with dioxins and dioxin like PCBs. 9.18.6 Fish contamination with mercury. 9.19 Ethical issues: fish stocks. CHAPTER 10: GLUCOSAMINE AND CHONDROITIN IN OSTEOARTHRITIS. 10. 2 What are glucosamine and chondroitin?. 10.3 Sources of glucosamine and chondroitin. 10.4 Bioavailability10.5 Postulated mechanism of action. 10. 6 Trials of glucosamine and chondroitin and their efficacy in OA. 10.6.1 Meta-analyses of glucosamine and chondroitin trials. 10.6.3 Combination trials including manganese. 10.6.4 Glucosamine trials with negative findings. 10.7 Possible reasons for conflicting trial results. 10.12 Preliminary results from GAIT. 10.13 Conclusions and recommendations for glucosamine and chondroitin use. 10.14 Supplements of glucosamine sulphate and chondroitin available. 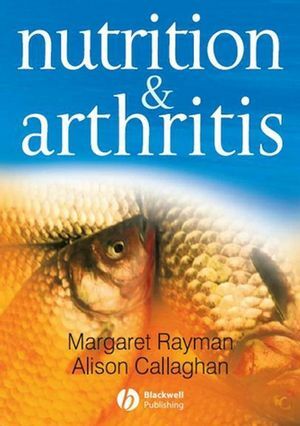 CHAPTER 11: OTHER FOODS OR SUPPLEMENTS MARKETED FOR ARTHRITIS RELIEF. CHAPTER 12: ASSESSMENT OF LEVEL OF EVIDENCE FOR NUTRITIONAL RECOMMENDATIONS AND SUGGESTIONS FOR THE FUTURE. 12.1 Summary of nutritional factors that may affect risk of RA and OA. 12.2 Level of evidence for nutritional recommendations in RA and OA. 12.3 Suggestions for the future. Appendix 1 How to interpret the statistical data on studies quoted in this book. Appendix 2 Malnutrition Universal Screening Tool - MUST. Appendix 3 Table of UK and USA dietary reference values for vitamins, minerals and trace elements. Appendix 4 Elimination diet for rheumatoid arthritis. This is a really important resource for all health professionals who regularly come into contact with arthritis sufferers - rheumatologists, general practitioners, dietitians and nutritionists. It will help enable them to offer evidence-based advice on diet and supplements to reduce disease progression or help with symptom relief.